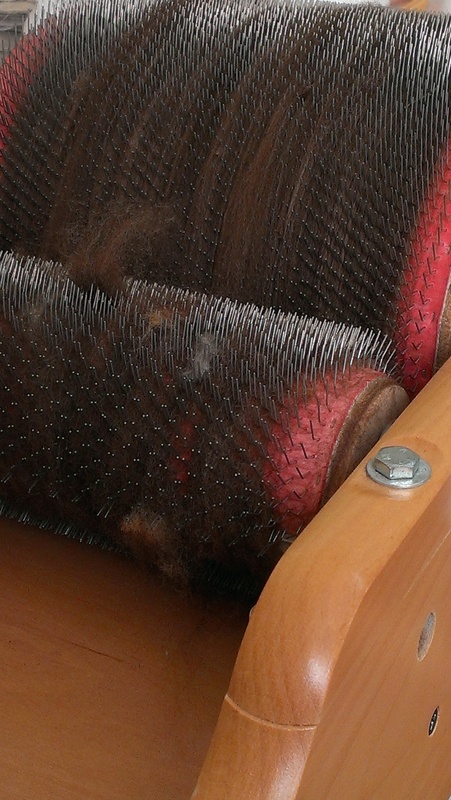 Recently I made good on my intention to properly clean and oil the drum carder. It meant I had to find the instruction sheets. And that was when I had the revelation that my drum carder has two speeds. Conceivably, this was a selling point when I decided to buy it–that does sound curiously familiar–and I had managed to completely forget. 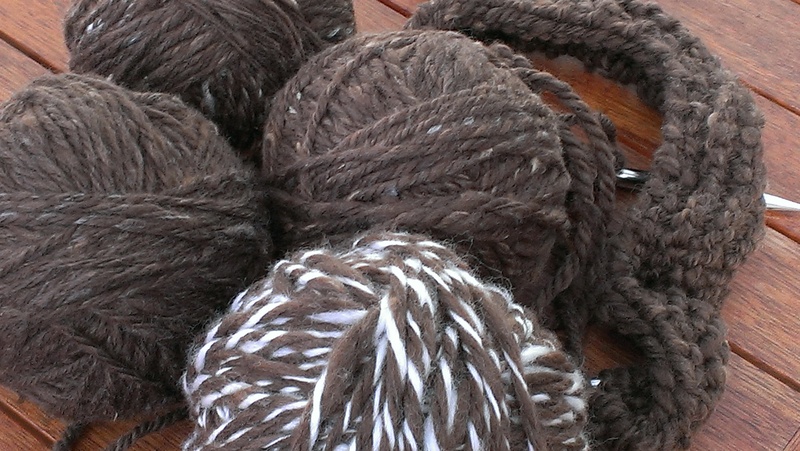 I have had it on the setting which would be ideal for blending roving for some years. That’s been good sometimes, because it really does make a great batt for artyarn spinning, and there has been quite a bit of that at my place. 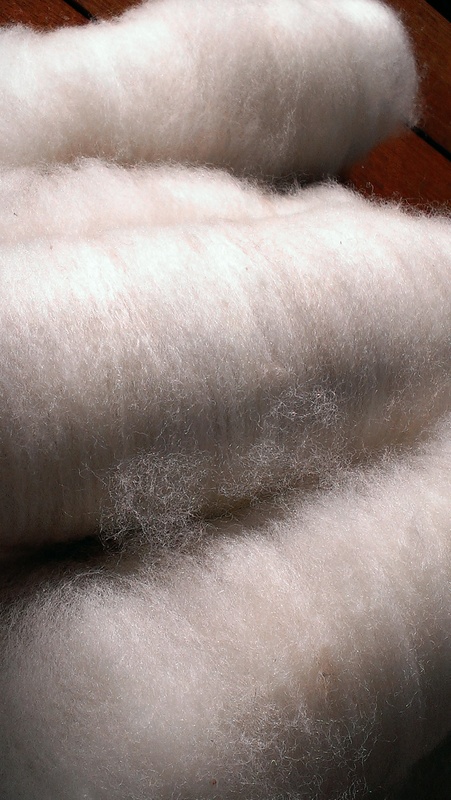 However, I have struggled to make great batts from fleece, sometimes with a lack of patience, I admit. But there has been plenty of trying and some of it has been patient. So, I have been applying my newly oiled and cleaned carder to some Polwarth fleece on the correct setting, and wonder of wonders, it actually is better! I have also been carding some of the lower quality end of my enormous stash of Polwarth and spinning it fat, soft and three ply with YET MORE Fibertrends Clogs in mind. The short cuts and brittle ends will never be seen again once they’ve been felted. And I have to say the spinning is a lot of fun. Every time I use the drum carder and pick up the doffer–a long pointed metal tool for removing the batt from the carder–I find myself earwormed with a folk song called The Doffing Mistress. The link is to the singing of Maddy Prior and June Tabor, two of the shining stars of English folk music over some decades. The quality of sound is no doubt better on iTunes, but this version comes with a description of the job of a doffer in the period after the industrial revolution. 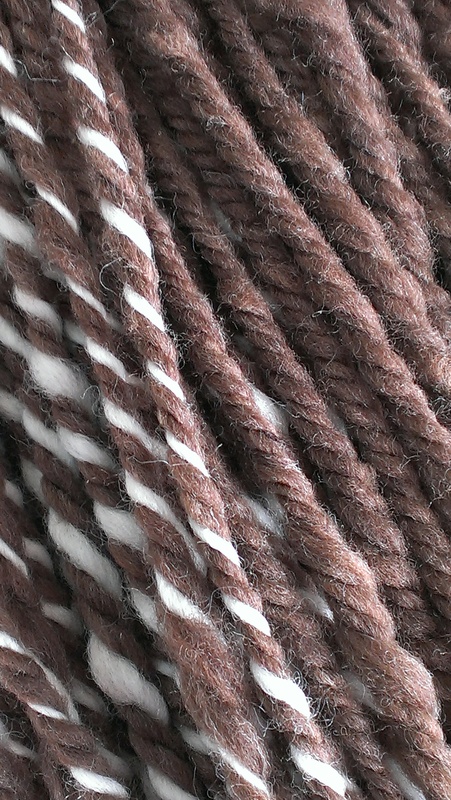 I am very glad not to be a small child pulling bobbins on and off an industrial spinning machine to earn sufficient to eat… Instead, I have been hand winding big fat balls of this yarn, since it is a bit thick for my ball winder. Let the knitting begin! So which type needs the faster speed? You might be able to tell I haven’t always felt that way about it! But lately… I agree with you. Pleased to have rejoined the happy crowd.